Home of the South Carolina Safari. This post continues and ends the mini-series “Halfway Thru/Mid-State Blues” from the previous post. With Lexington county’s Cafe Strudel set for breakfast, I had to decide which county I would hit for lunch. I know in the future I’m headed to Aiken/Barnwell for a trip as well as planning Abbeville and Greenwood in one. So, I eventually moved my sights onto Edgefield for lunch. 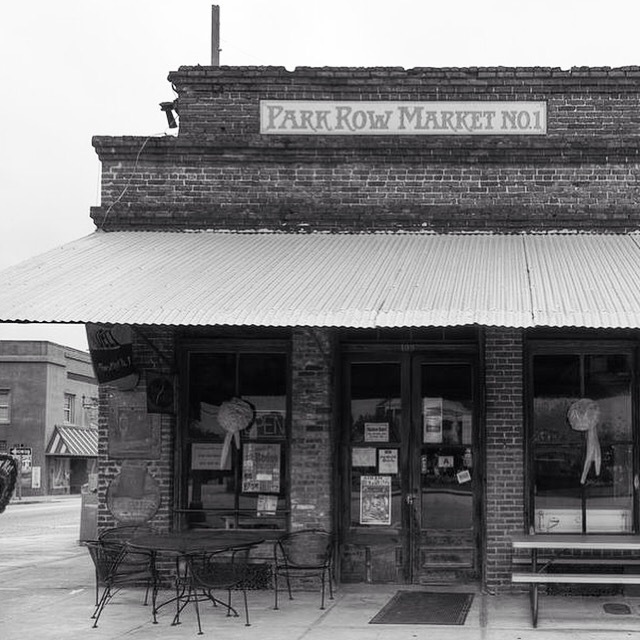 The best of the best list, the 2015 edition, included Park Row Market No. 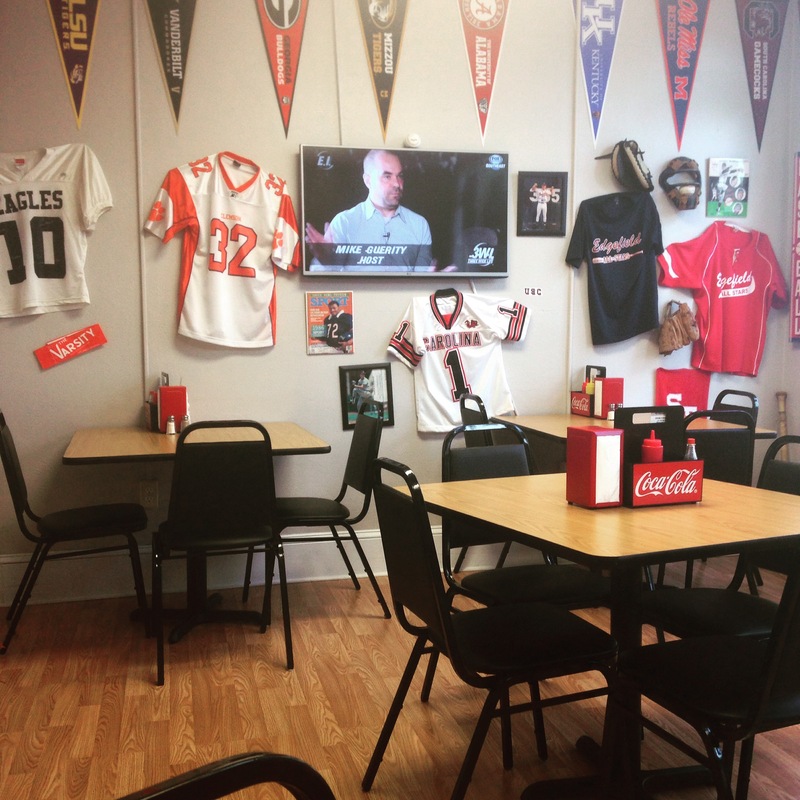 1 as the place to go in Edgefield. I honestly was excited as it would have been the first deli-esque establishment for the South Carolina Safari. People close to me know that I absolutely love a good French dip sandwich and when I viewed a menu posted online and noticed they had one, I was immediately hooked. Well, some of you have been waiting two weeks to see why I entitled this mini-series “Mid State Blues.” I check times where the places are open and up until now my research has been correct. Park Row closes at 2 on Saturday so I made sure that my travels would get into Lexington and then Edgefield with enough leeway before they would close for the day. I even checked their Facebook page the Thursday before just to check on any recent closures/events before I decided on them. I should have checked their page on Friday as they wrote a brief blurb under their specials that they would be closed for the weekend. I also should’ve called but this is the first time I have ever been locked out of my initial choice for a restaurant. As you can see, I had “Mid-State Blues” as I really wanted to try a unique and likely tasty spot in a town I may never get to visit again. 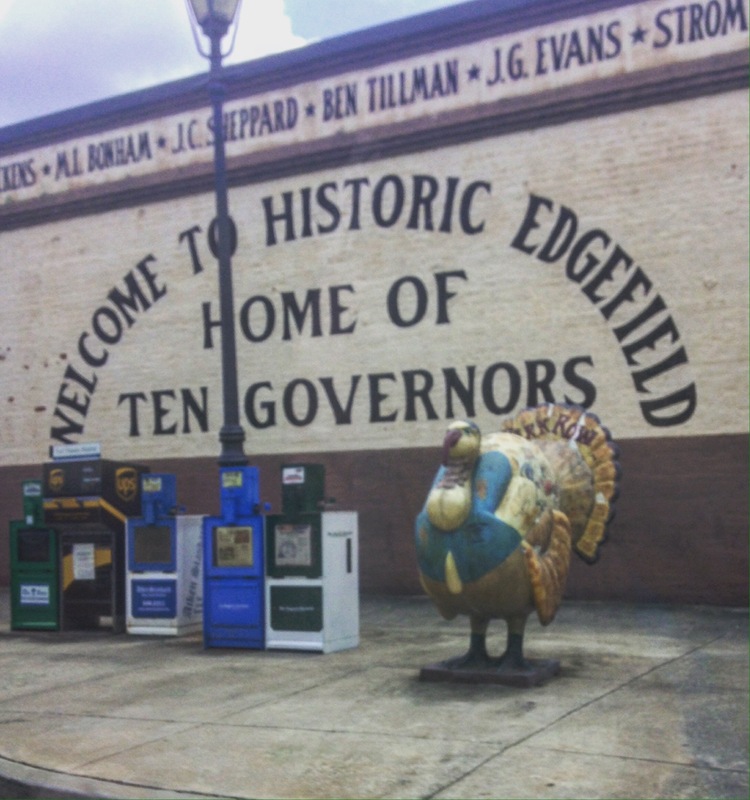 Edgefield has a storied history with a total of 10 governors, including infamous Strom Thurmond, who were born within the county. It also has a beautiful town square that gives the town a mid 1950s vibe, similar to the setting in Back to the Future. It is definitely a beautiful, laid back Southern town. Because of the reasons above, I hate having to give a tepid review to a Plan B restaurant which was the only place open in Edgefield at 1:30 on a Saturday at the end of July. Sometimes you have to go with Plan B. 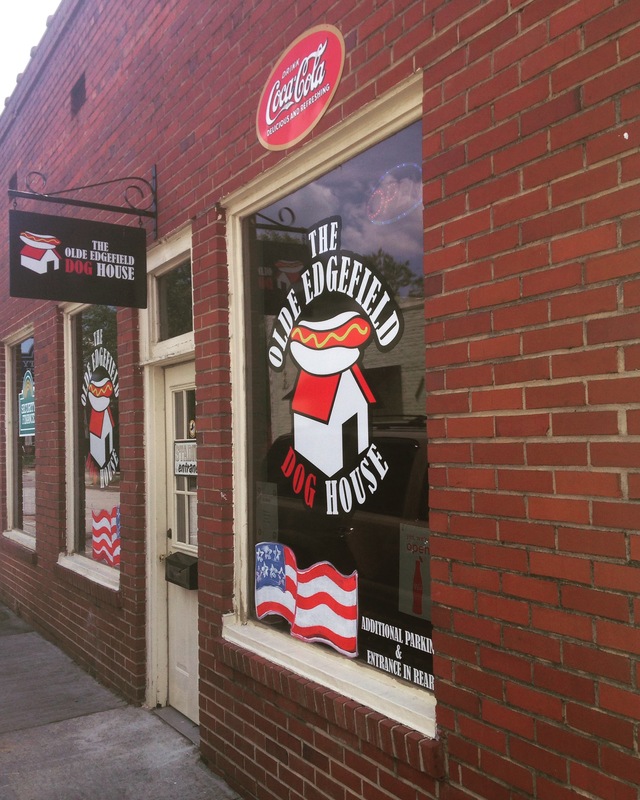 Around the corner from Park Row Market lies the unassuming Olde Edgefield Dog House. I barely noticed a sign directing people to the place that was laid out near the square and when we realized Park Row was closed we made the downtrodden turn towards the Dog House. I told Will, my travel buddy during this trip, to just humor me and come along as I wasn’t likely going to be able to come back this way anytime soon and I didn’t make a trip just not to eat anything. 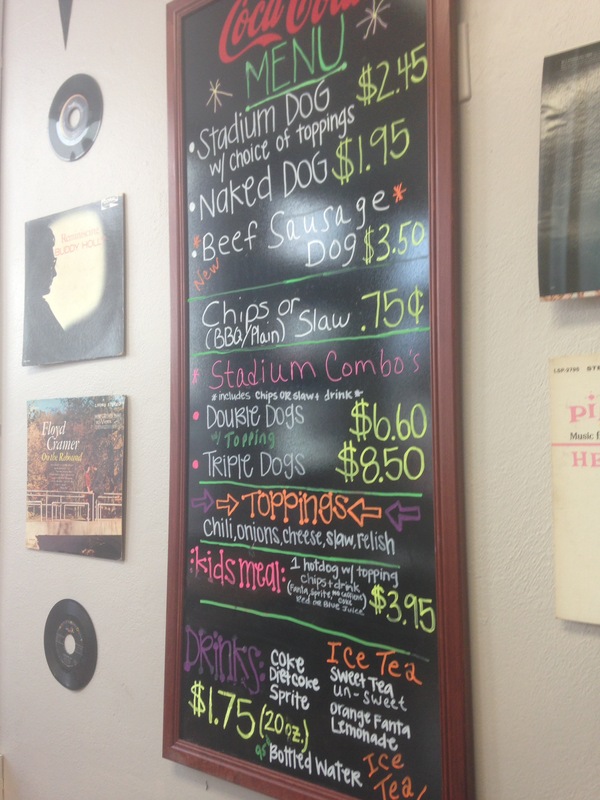 The Olde Edgefield Dog House is as simple as they come with hot dog or sausage dog options with a couple of toppings (cheese, chili, relish), an option for either a bag of chips or slaw, and your standard drinks. It’s nothing extraordinary at all and quite a dissapointment from the menu I was expecting at Park Row. 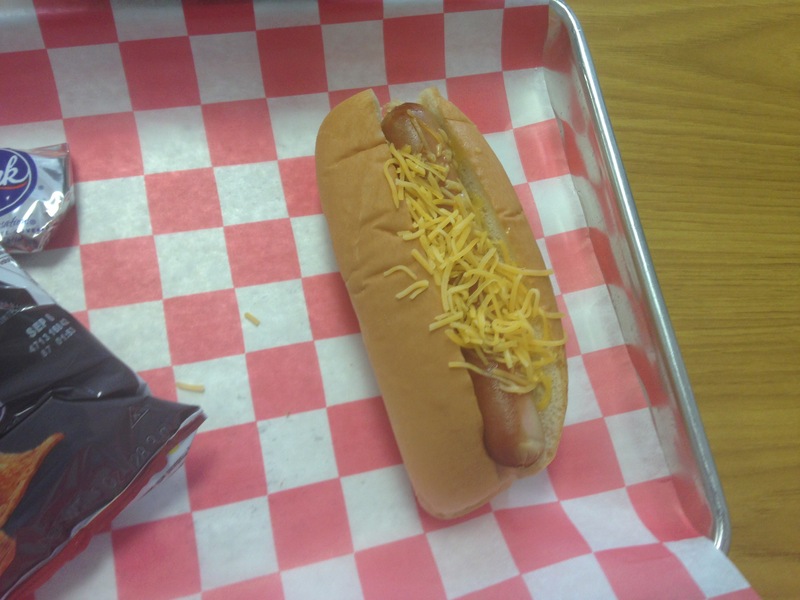 The cheese covered hot dog was ok and Will said said the same thing about his hot dog with chili. Thing is, I can make a hot dog at home even better with ingredients that I like and enjoy. I don’t want to be a drag but I’m not sure how long this place has in a small town like Edgefield. 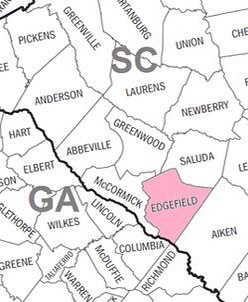 I may be able to make a detour to Edgefield during future trips to Saluda or (more probable) McCormick counties but it’s highly doubtful by making a detour to a place I’ve already been would be wasteful. If you go to Edgefield, take your time visiting the courthouse square which contains several monuments and memorials and an obliesk to the Confederates who served in the Civil War from the area. Edgefield also has a discovery center that details its history. If hunting turkeys is more your thing, check out the National Wild Turkey Federation & Winchester Museum. Honestly, I wish I could give Edgefield a second shot. It deserves better but it’s too far away to make a return visit when I’m in the middle (literally) of this South Carolina Safari. I hope I can visit this nice little town again but the chances of that happening are slim as it is literally on the opposite side of the state. I’m probably being generous with the two and a half stars. If anyone who has visited Park Row that is reading, I urge you to submit a review and I will post it on here.